OPA-LOCKA, Fla. - A pregnant woman was killed and her 13-year-old daughter was wounded in a shooting Monday in Opa-locka, authorities and family members said. Opa-locka Police Chief James Dobson said the victims were in a car in the 2500 block of Superior Street about 7 p.m. when they were shot. Authorities have yet to identify the victims, but family members said the woman who was killed was Quantia Curry Golden. 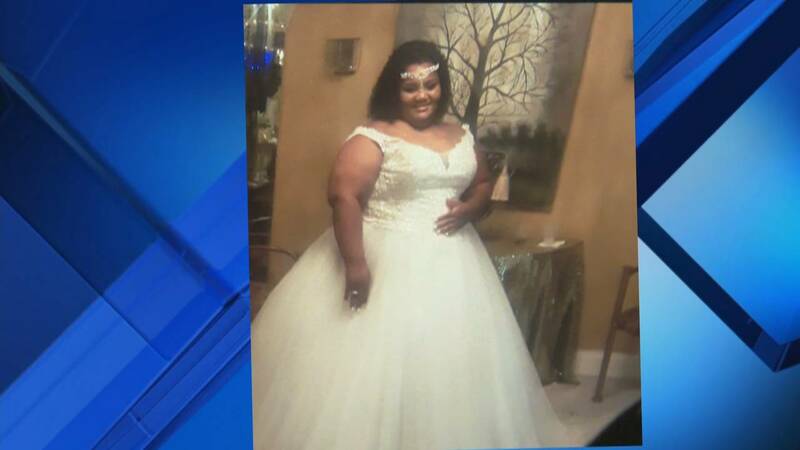 The 33-year-old woman was three months pregnant and had just left work at Northshore Hospital to pick up her daughter, C. Lexus Richardson, when someone opened fire, the family said. Richardson called her grandmother after the shooting in a panic. "She said, 'Grandma, my momma's been shot,'" Gladiest Barnes, Richardson's grandmother, said. "And I stared screaming ... and I just ran every red light until I got here." Family members said Quantia Curry Golden, 33, was killed in the shooting. Barnes said she has gone through this before. "I lost one of my children already in 2011 because of the gun violence," Barnes said. "It's still happening. Like, when is it going to end? This is my second child -- my second child. Imagine your children, your babies." "I had a brother it happened to. Now I have a sister, and that hurts because I don't have nobody to call," Golden's sister said. Paramedics took the 13-year-old girl, who was shot in the shoulder, to Jackson Memorial Hospital's Ryder Trauma Center in Miami. She was released from the hospital Tuesday morning. "She's very shaken up. She witnessed everything," Barnes said. "She was in the car. She witnessed her mother get killed, cause her mother died right there in the car."